I took a chance on Dobyns for starting a new fleet of rods for my kayaking needs, and so far I've had nothing but questions or problems. I ordered 5 of them and 1 came with a bent eye and upon closer inspection cracked epoxy. I noticed another was bent at the top 1/3 of the rod. Some people say that bend is normal, but none of the other rods have that, and I've noticed in other brands some rods will also have that bend (like they were left to lean against something for too long and took that bend) while the vast majority of the same model do not. And now I have another issue, and one that I've never seen before. 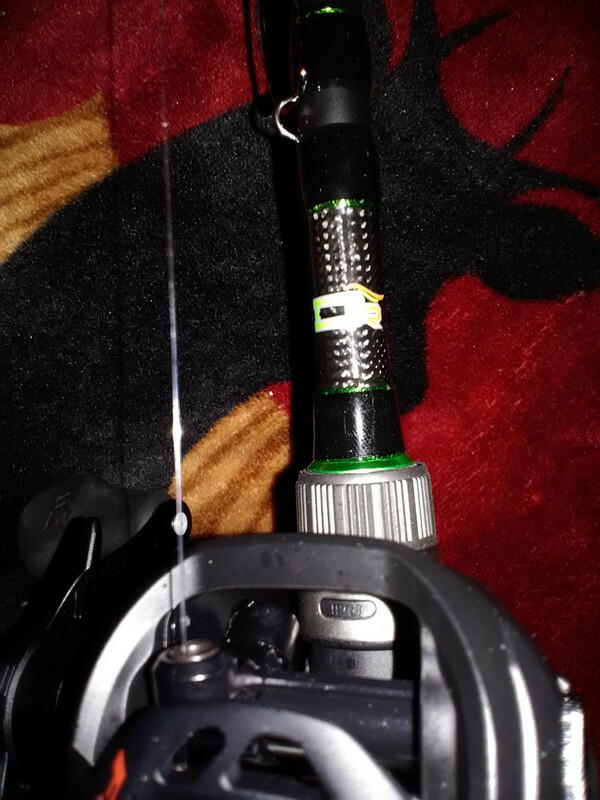 On the 2 spinning rods, the screw lock doesn't not lock down all the way on either rod with the Presidents I put on them. There's a good 1/4 inch that doesn't screw down at all and leaves a gap over the blank itself. Is that normal for Dobyns? One rod I would call it a defect, but two rods I call it an issue (maybe?). Showing green because it screws down all the way. No green because this is as far as it goes. This is junk and I can't believe people recommend them. You would think a company and a series of rods so highly recommended wouldn't be so trash. I would take it up with Dobyns directly. Call them. Many on this website have mentioned Gary Dobyns being a good guy as suggested call them and talk out what you received and see what they can do for you. I doubt you will be treated unfairly. I don’t think I’ve ever heard any real negativity towards them. Talk to them and give them a chance to make it right if it’s a problem with the rods before you get to upset. Sometimes things happen. I contacted them via email. I'll probably have to wait until tomorrow for an answer at this point. But naturally I'm upset that 4/5 rods have issues. Call the shop and ask to speak to Gary. Why the reel won't lock down is beyond me. The 4th image is a 35 series President on a Fury 702. The others speak for themselves. I have four buddies all fishing Fury spinning rods with no issues. I'm sorry about the bad first taste Glaucus. 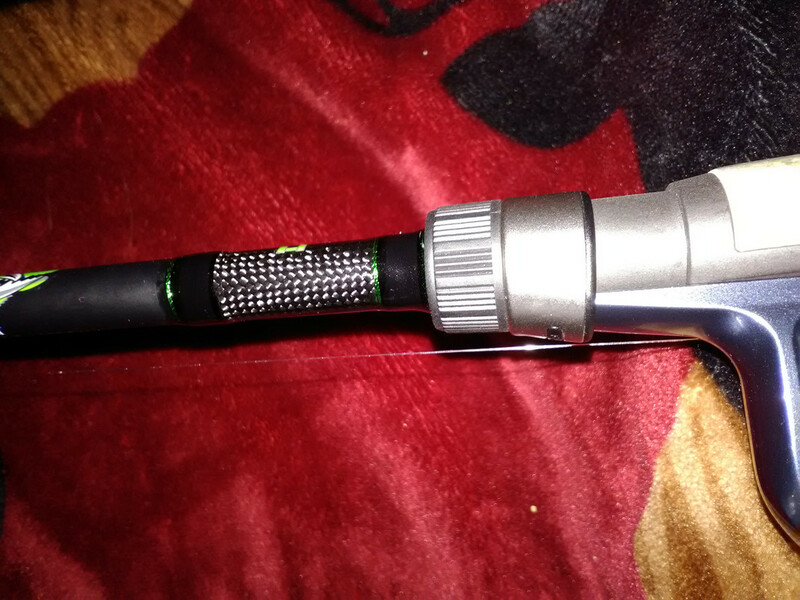 I just bought a dobyns rod as well but I got a casting one, I must admit the fit is a bit weird. It looks like it should screw down further on mine but I guess this is just how it is. Definitely an issue with the build then. I have the issue, you have the issue, but Columbia Craws are fine if you look at his pics. Quality control has got to be lacking recently. Strange that we both just got our rods with the same issues. It's terrible considering the price tag for these rods. I just picked up one of their casting rods about a month ago and mine suggested right up perfectly. Geeze, not even my casting ones come close to screwing down that far. If you look at my pic it just barely passes for being screwed down all the way. All of them are like that. Too much discrepancy going on here. Not a good look. Are your reels loose? If there held in place tightly isn’t that fine? I’m certainly no expert on how there supposed to fish. No, they're not. I probably have them on too tight right now because of trying to figure this out. The casting ones do just barely pass, better than Jonnys up there, and that's fine. The spinning ones are terrible especially considering how a spinning rod is held. That "sharp" plastic lip because they won't lock down digs into the fingers quickly. This was a common issue with many of the Sierra rods. Don't know why since its the same Fuji they use on all their rods. I don’t know enough to comment on the screw lock, but getting a whole new fleet of rods is certainly something to be proud and excited about. I hope it works out for you. Try switching the reels around. And see if same thing happens on the other rod. Some reels I’ve seen in the past the foot is oversized from model to model in the same brand. Good idea. Give me 2 minutes. Well we can shut this thing down. DOBYNS IS NOT AT FAULT, PFLUEGER IS AT FAULT. I put casting reels on the spinning rods and they fit perfectly. I put the spinning reels on the casting rods and they had the same issue with not locking down all the way. The size 25 on the ML is the worst offender. The size 30 on the M is slightly better. I also swapped the 25 and the 30 and the results were the same on the different spinning rods with the 25 being slightly worse. Regarding the bends. A rod should not have a visible bend. Contact the mfr or dealer. I was going to take the rod with the messed up guide in myself to get it fixed for 10 bucks. Now with the bend I'll just ship those back to TW for an exchange. Glad to hear we found the culprit! If there’s anymore concerns I highly advise giving their shop a call in the am. They are great people to deal with!